Mondo9 (World9) is a deserted planet. Infected, lethal, an endless expansion of poisonous sands, scattered with townships made out of gears, cogged wheels and pulleys. During its evolution, its inhabitants have dedicated themselves to only one science, mechanics; have developed only one discipline, carpentry. They have turned World9 into a realm of machines, metal and rust. Electricity has yet to be completely mastered, nevertheless World9 thrives on a flourishing trade: huge vessels on wheels, as big as ocean liners and staffed by dozens of men, navigate the deserts as well as the ice pack of the Poles linking the various towns. Robredo is a behemoth of a ship, World9’s most powerful and hungry one, the pride and joy of the local carpentry. It’s made of rugged metal and feeds on an alchemical mixture of steam, lubricant fluid and bacteria. But most of all it’s a sentient creature! It sails through the sands and the ice for months on end, without ever meeting a living soul, prey to the elements and to the extremes of a wild and hellish nature. There’s a war going on out there. Machines vs machines, metal vs metal. And a thousand wonders hidden beneath the dunes waiting for their prey: a mysterious illness transforming flesh into brass, gigantic flowers that feed on rust, lethal banks of pyric sand… While flocks of strange creatures, half birds and half mechanical hybrids, fly high in the sky. Then, during a manoeuvre, something goes wrong. Robredo gets stuck in the sand, shuts all portholes and traps the crew inside its guts. Just a small survival module detaches itself from the mothership: inside, trapped in a cramped universe made of pipes, valves and gears, are the pilot and the Sandguard Garrasco D. Bray, upright first officer and very knowledgeable of his ship. Their odyssey begins. The automated module, to guarantee survival, to trace its route home and to return to civilisation, needs bacteria. 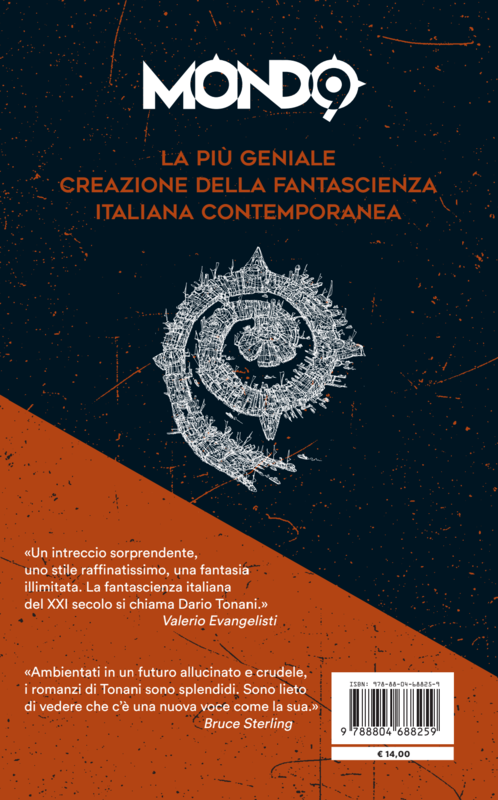 And bacteria is found in flesh and blood… This is how the story begins in the first chapter of a mini steampunk series made of four novelettes, which for a long time topped the Italian best-seller e-book charts. They’ve been translated into English, highly received from both the public and critics in the US. Now, for the first time, the complete saga, reviewed and updated and enriched with new contents, is published in one single paper volume. A sequel of the novel, already in its second edition, is due to come out first as an e-book and then as a Fix-up collection of the various stories on paper. At the latest Deepcon in Fiuggi (March 14-17th 2013) “Mondo9” won the Premio Cassiopea, as best Italian science fiction novel published in 2012. 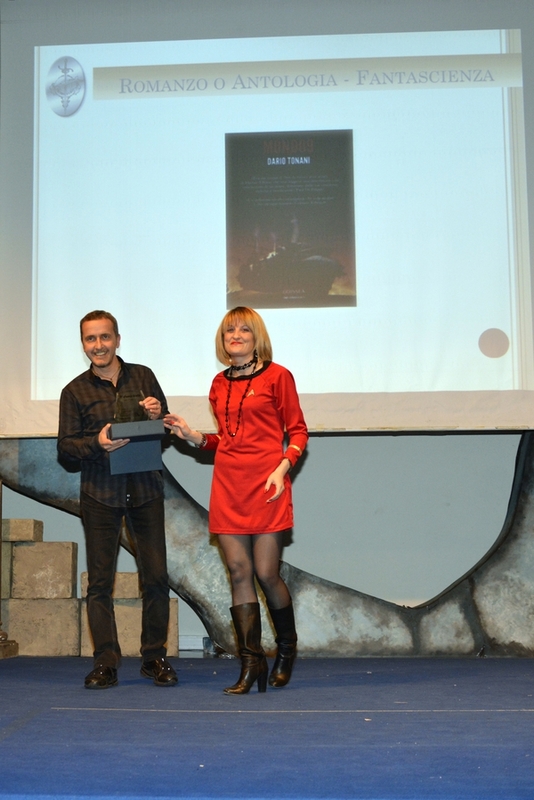 At the Sticcon/Italcon in Bellaria (May 23-26th 2013) it won the Premio Italia in the category ‘Novel or Personal Anthology – Science Fiction’. 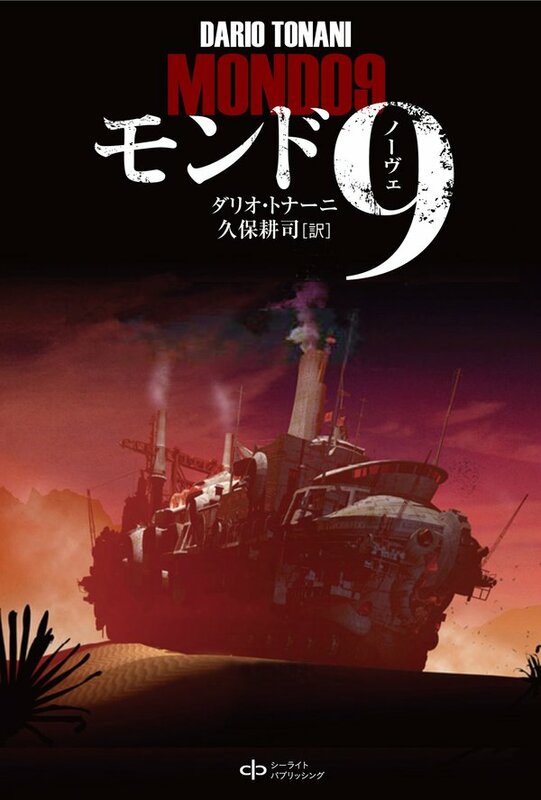 On February 22nd 2014 “Mondo9” was published in Japan (SF Yearbook Ga Yomitai inserted “Mondo9” in the “top 10” of the best international SF novels published in Japan in 2014). 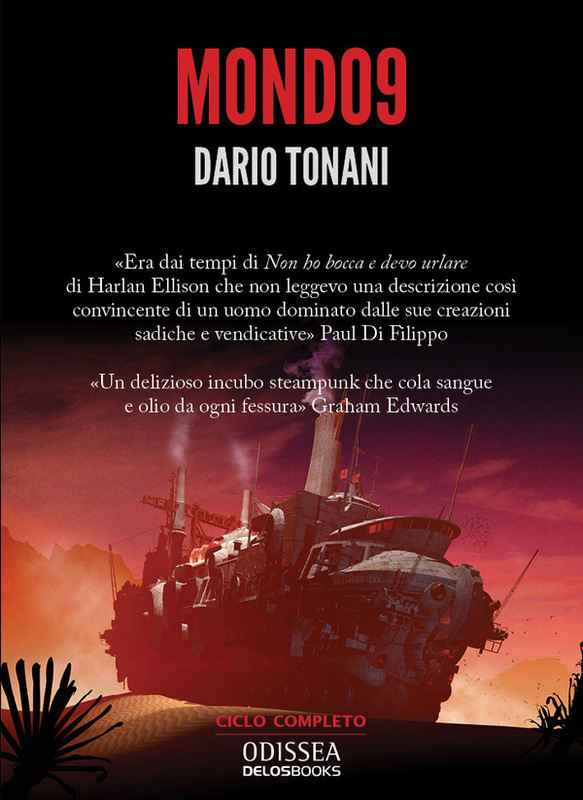 On August 2015, for Millemondi Estate (Mondadori), has been published “Cronache di Mondo9”, a new edition of the whole saga, including the new stories. 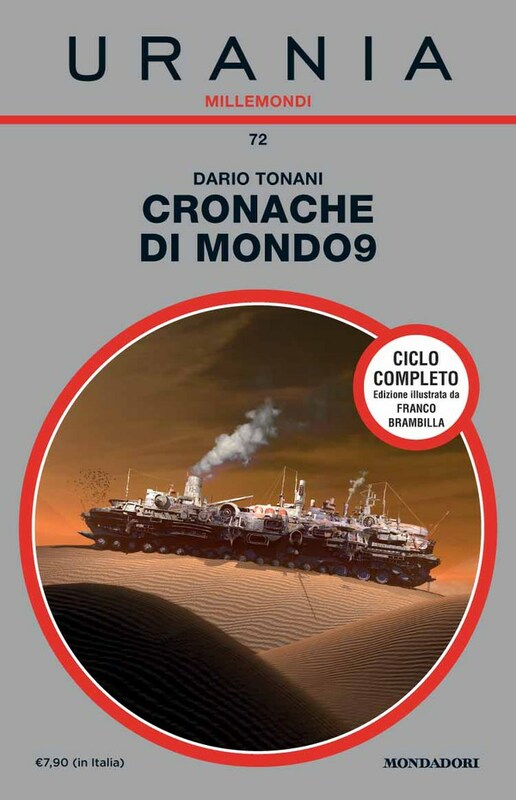 “Cronache di Mondo9”, 378 pages, “Millemondi” (Estate) n. 72, published by Mondadori, cover and interior illustrations by Franco Brambilla. 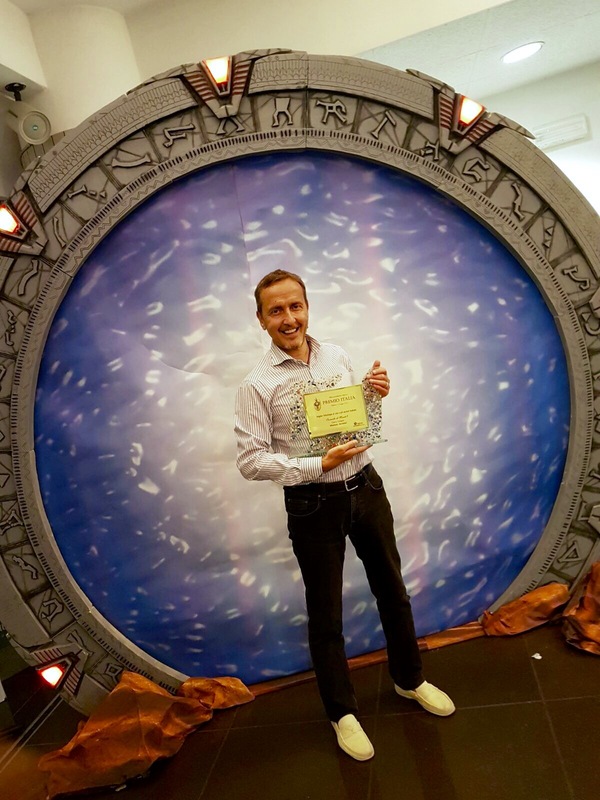 On October 2018, his new novel of the saga – “Naila di Mondo9” – came out for the editorial series “Oscar Fantastica” by Mondadori, among authors as George R. Martin, Neil Gaiman, Ray Bradbury, Ursula K. LeGuin, Cixin Liu. Naila di Mondo9 (Naila of Mondo9). Mondo9 is a deadly desert planet, a sprawled expanse of poisonous sands. In The course of the evolution, its inhabitants applied to a single art, the mechanics, making it the kingdom of the machines, the metal and the rust. Titanic wheeled Vehicles, large as ships and equipped with a conscious form of life, ply the deserts between cities and the other while a lethal Disease infects human beings into scrap. 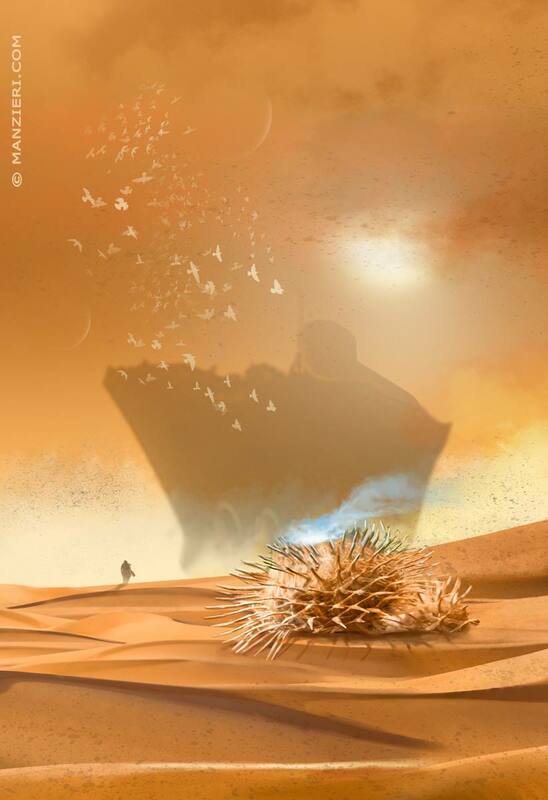 In This world lives Naila; She also sollows the ocean of sand with her Syraqq, an old whale boat converted to cargo, following the routes of the humpback whales in search of the Great Wave. A legend according to some. A superstition. Even Heresy. For Naila, the obsession of a life, the dream, the only way to return to Mondo9 a future of peace. 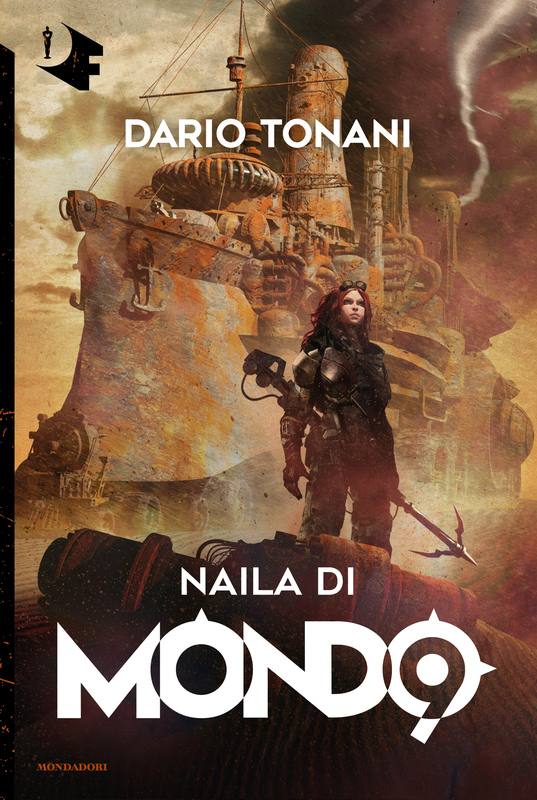 “Naila di Mondo9”, 328 pages, “Oscar Fantastica”, published by Mondadori, cover and interior illustrations by Franco Brambilla. From “Fragments of a Hologram Dystopia”. «Not since Harlan Ellison’s "I Have no mouth and I must scream" has there been a better depiction of man at the mercy of his own vindictive and sadistic creations». 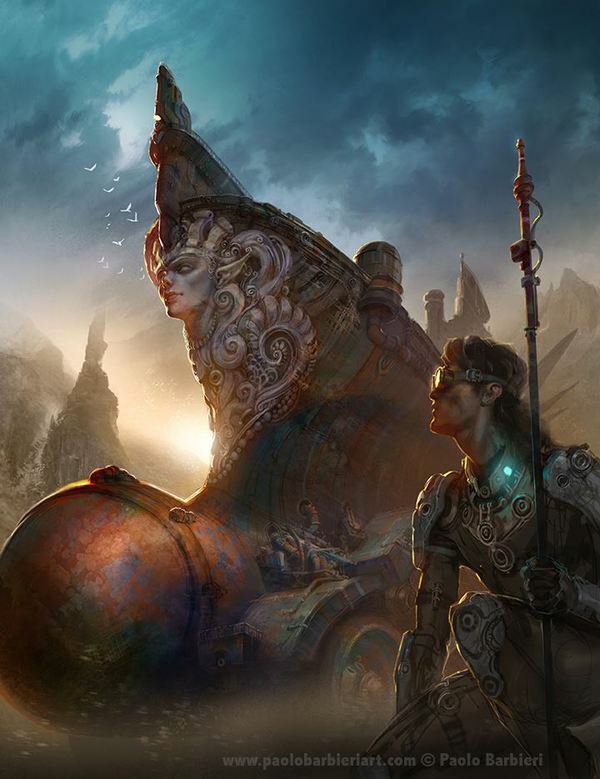 «A delicious steampunk nightmare dripping blood and oil from every crevice».